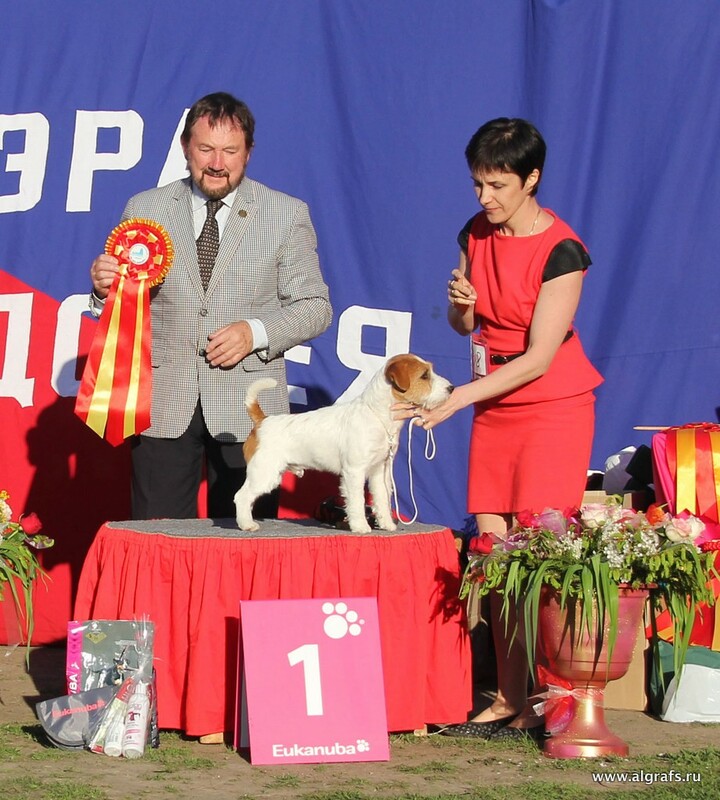 Date of birth: 01.12.2013 g.
Vice champion of EURASIA 2015. 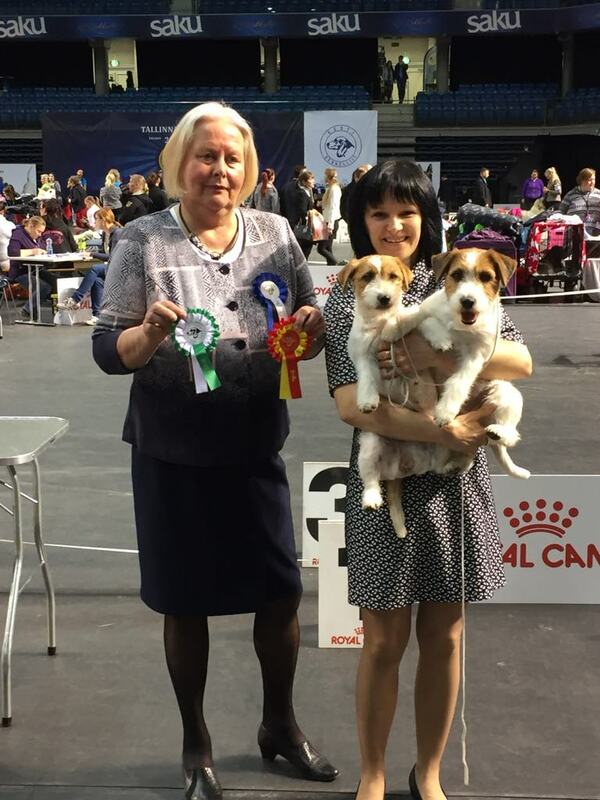 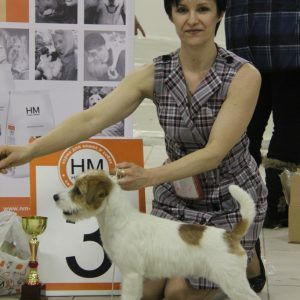 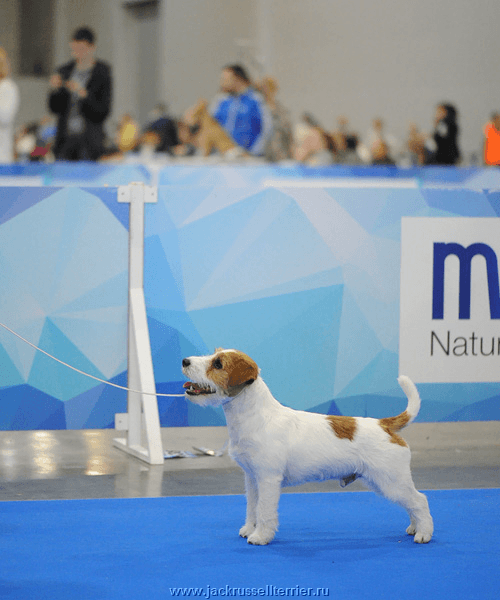 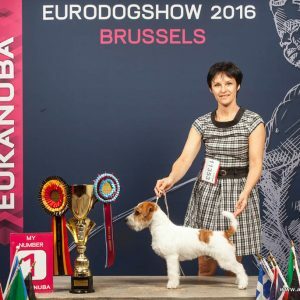 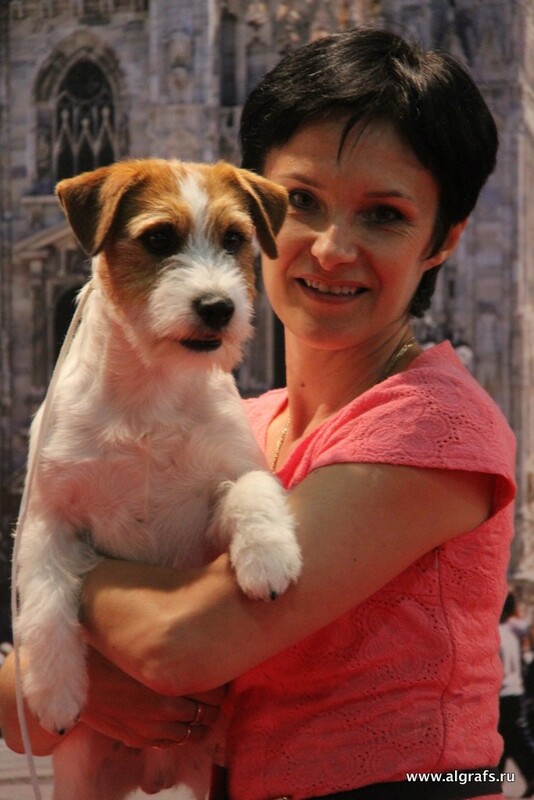 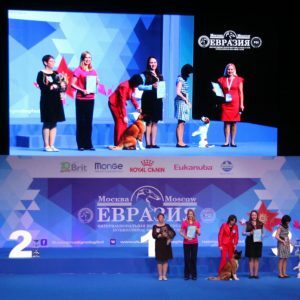 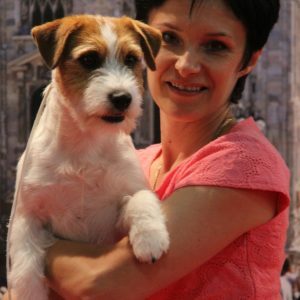 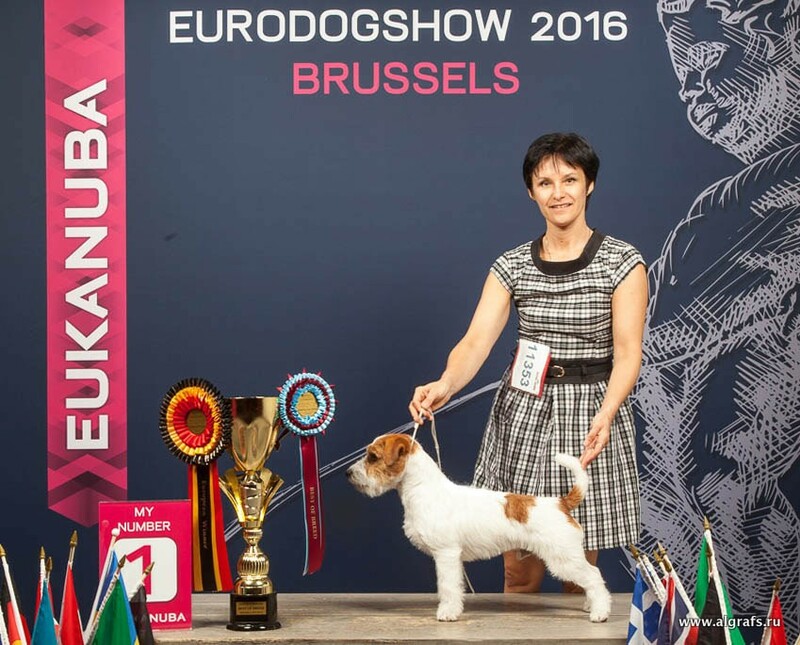 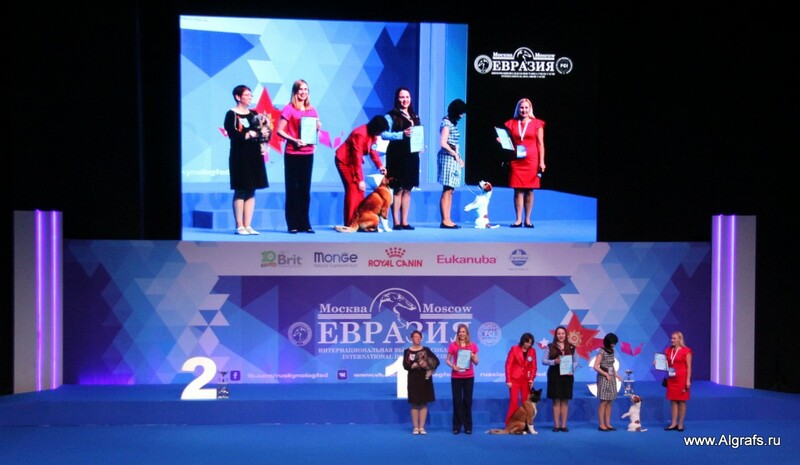 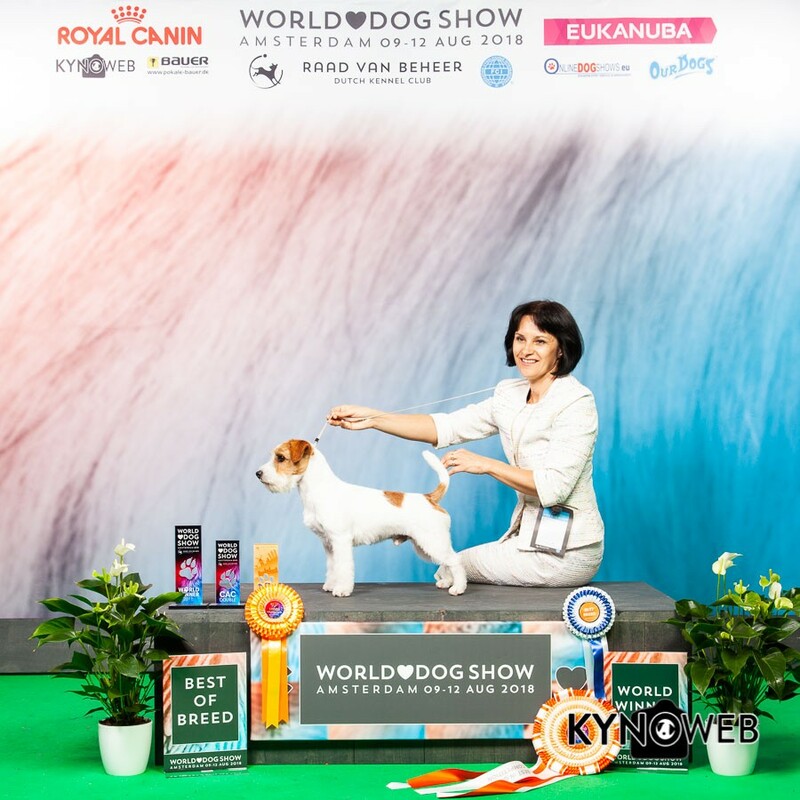 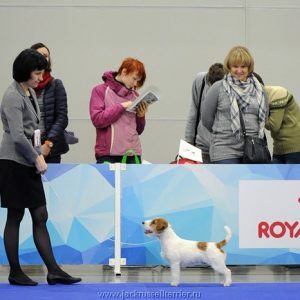 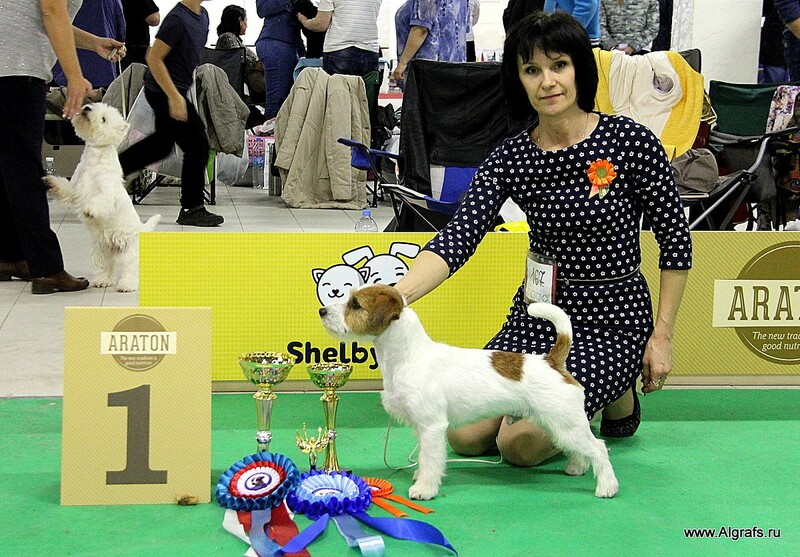 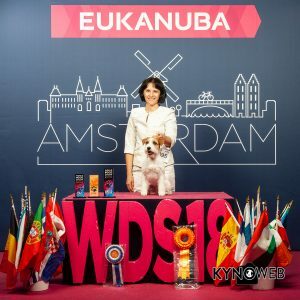 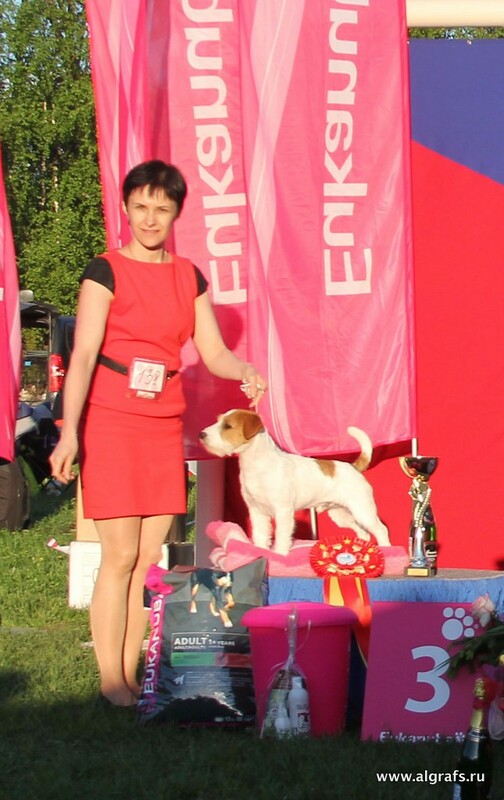 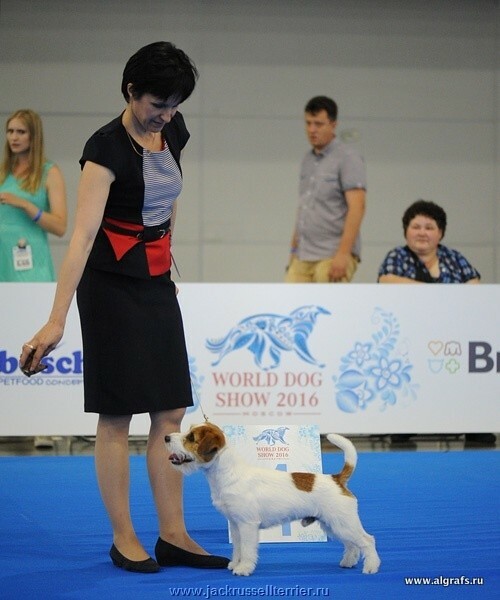 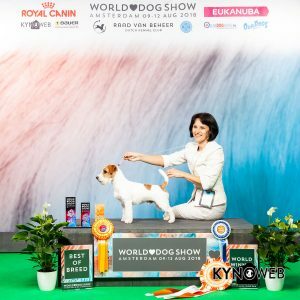 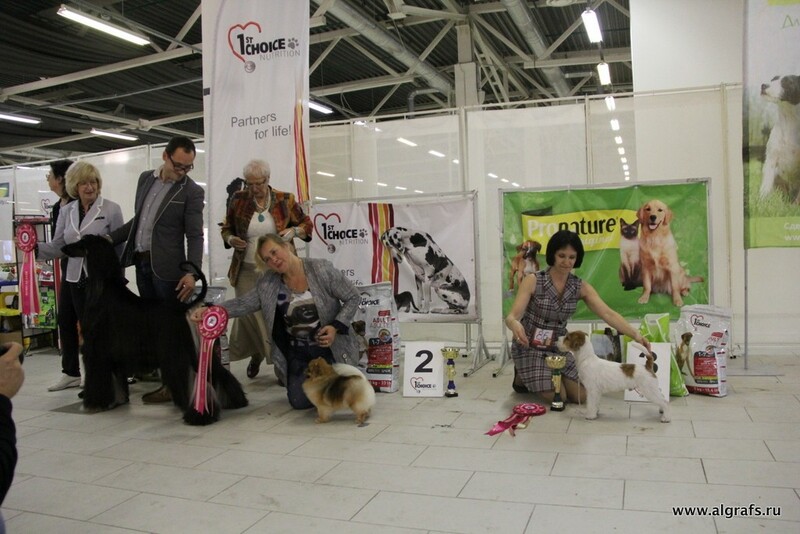 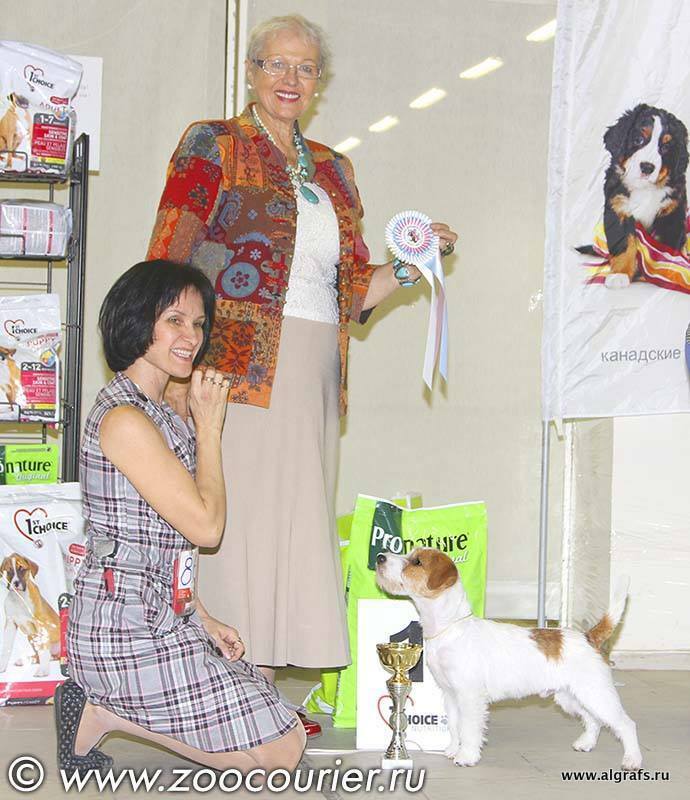 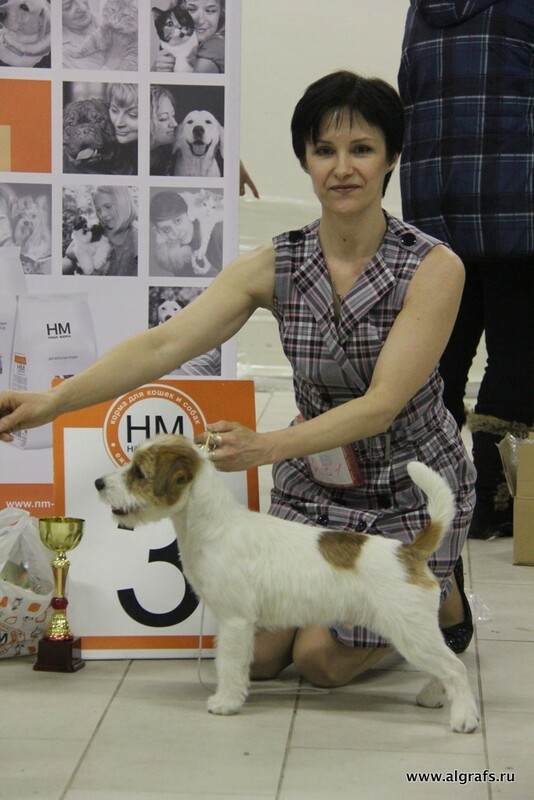 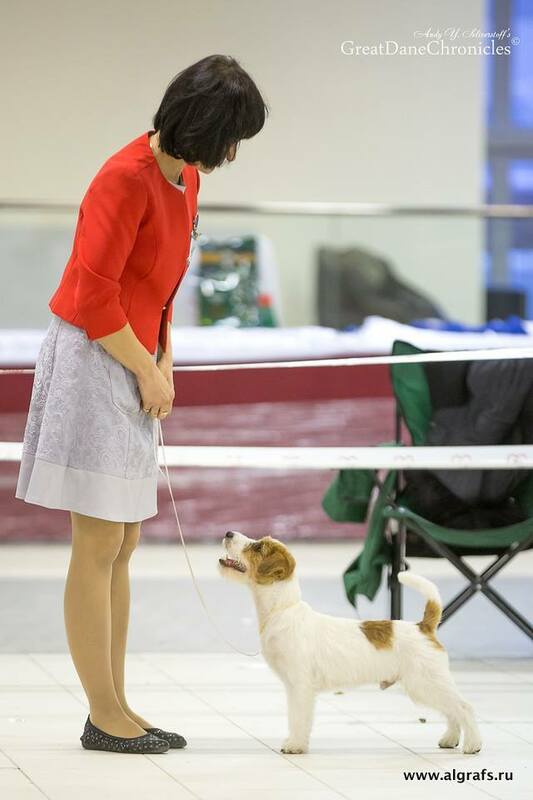 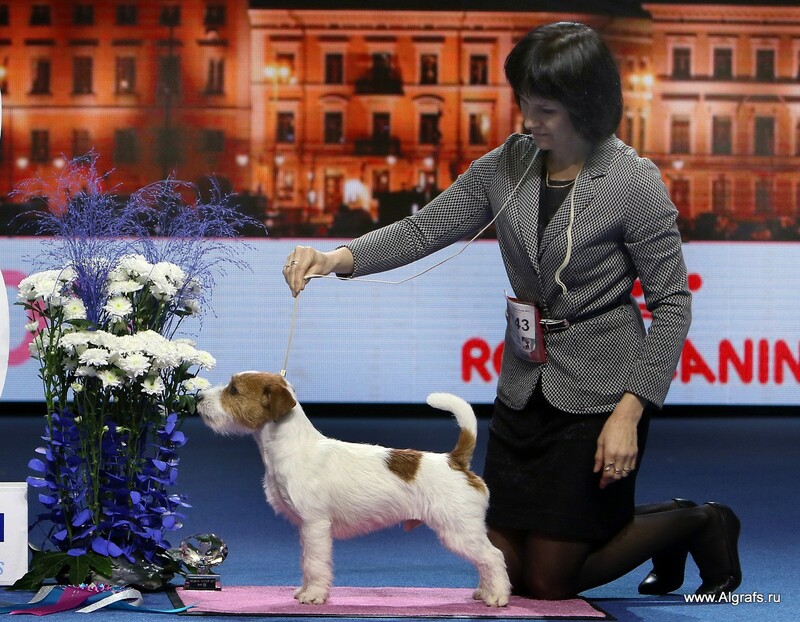 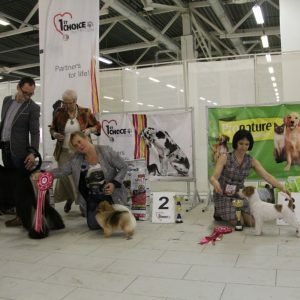 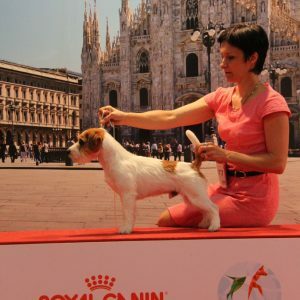 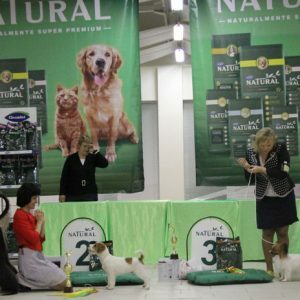 Best puppy at the World Championship 2014. 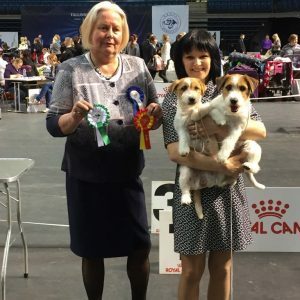 Helsinki! 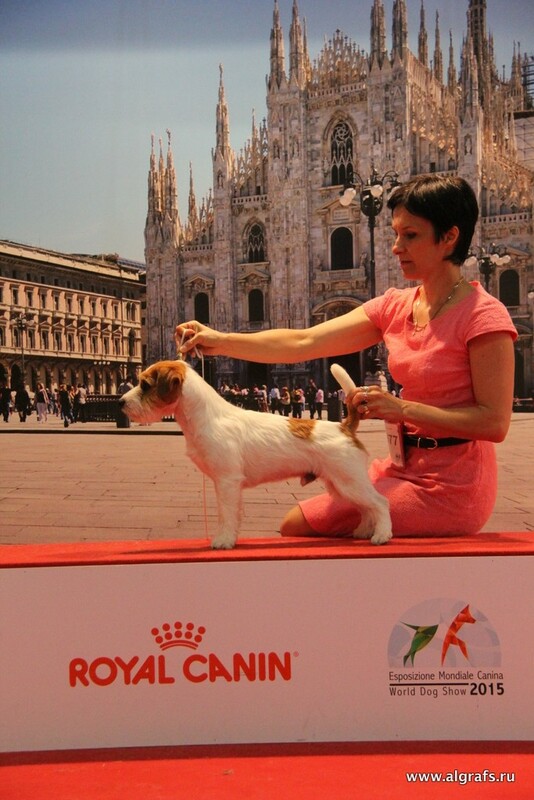 The 2015 World Championships, Milan - Winner of InterMedia class, RCAC! 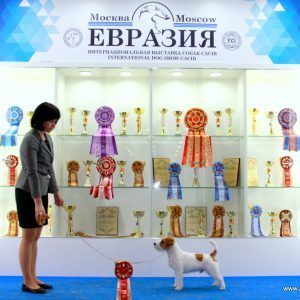 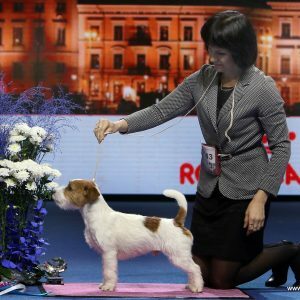 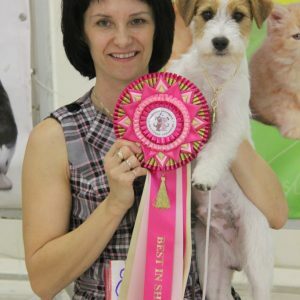 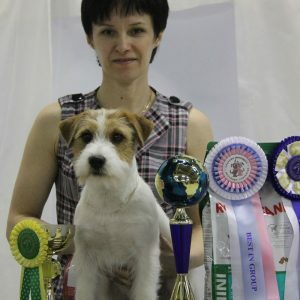 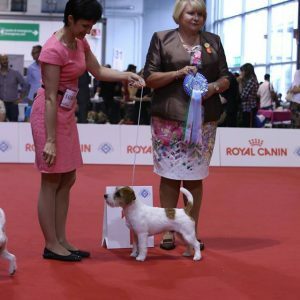 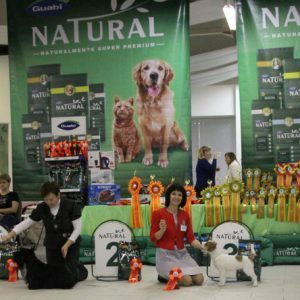 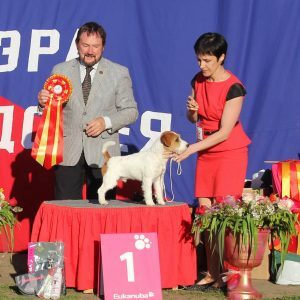 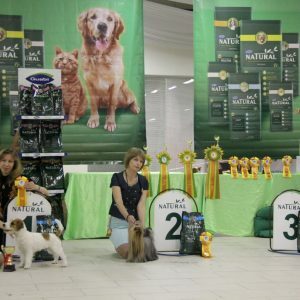 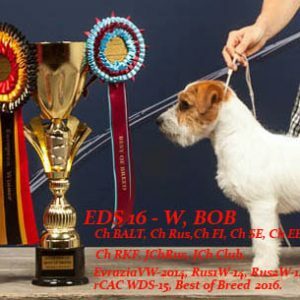 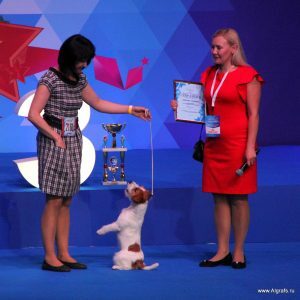 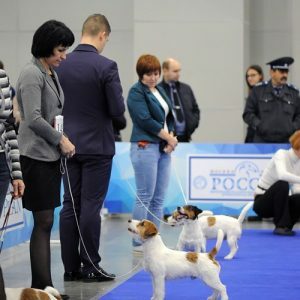 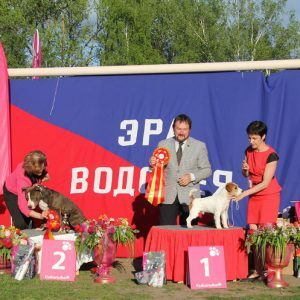 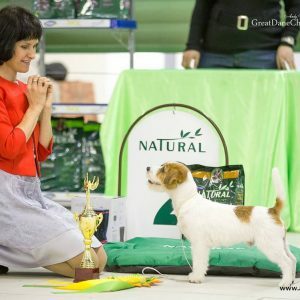 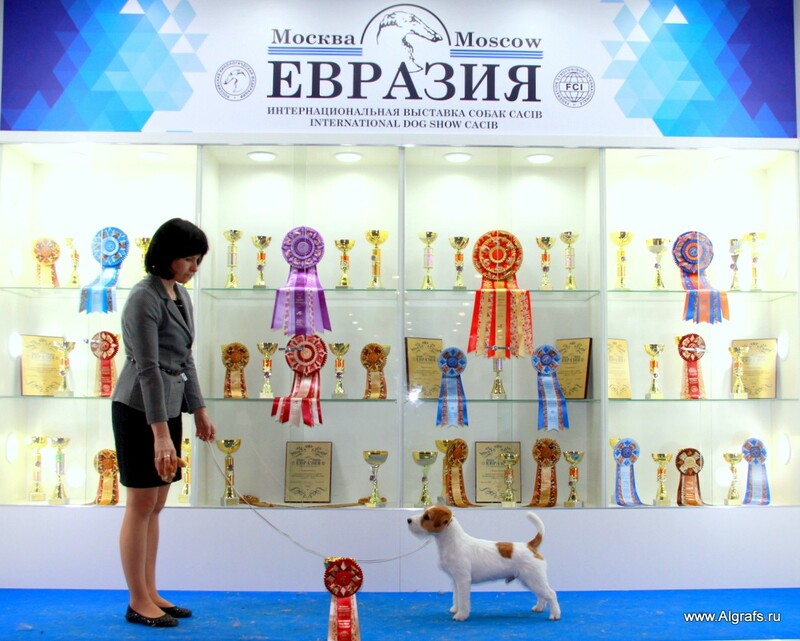 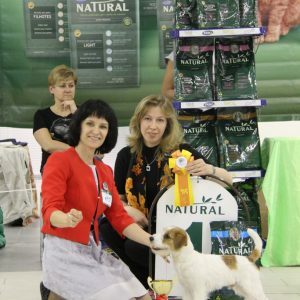 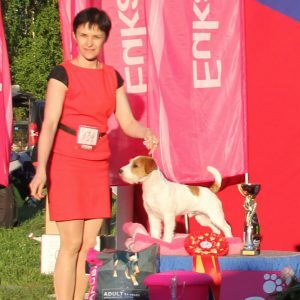 Best of breed at the Championship of Russia 2016! 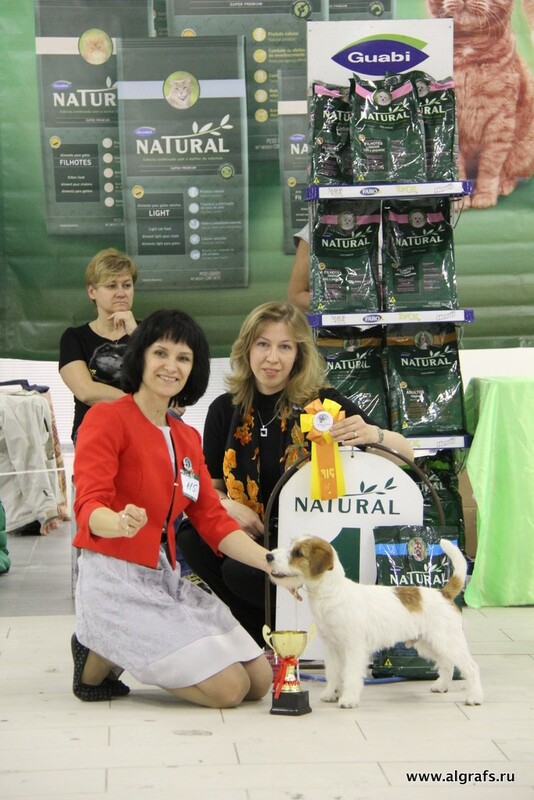 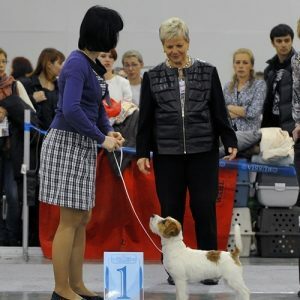 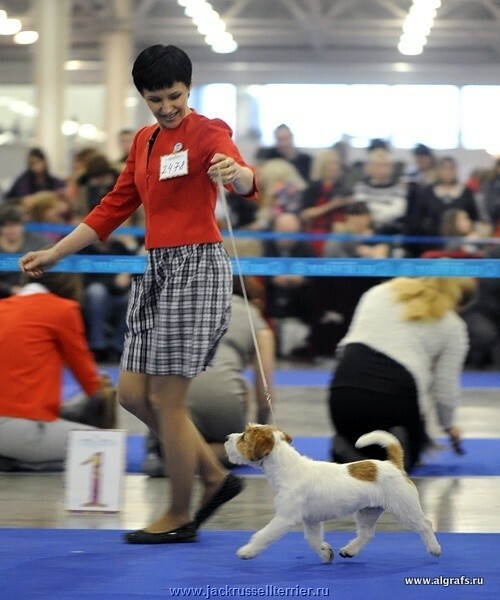 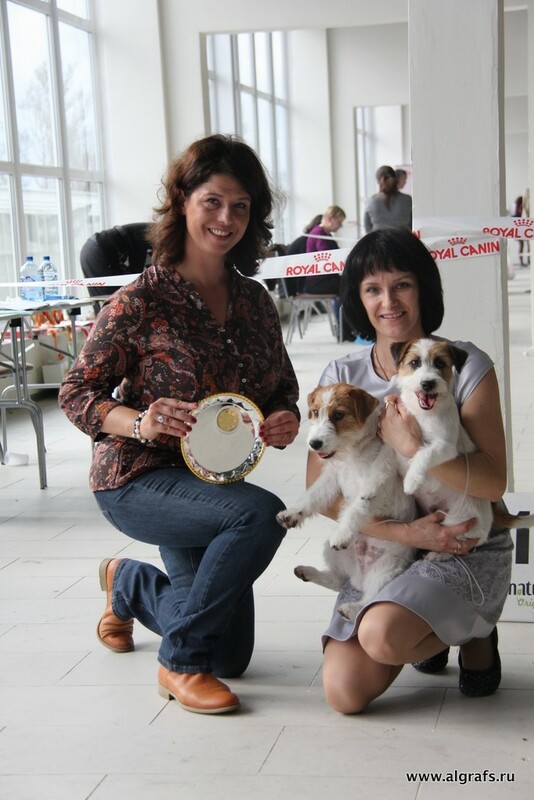 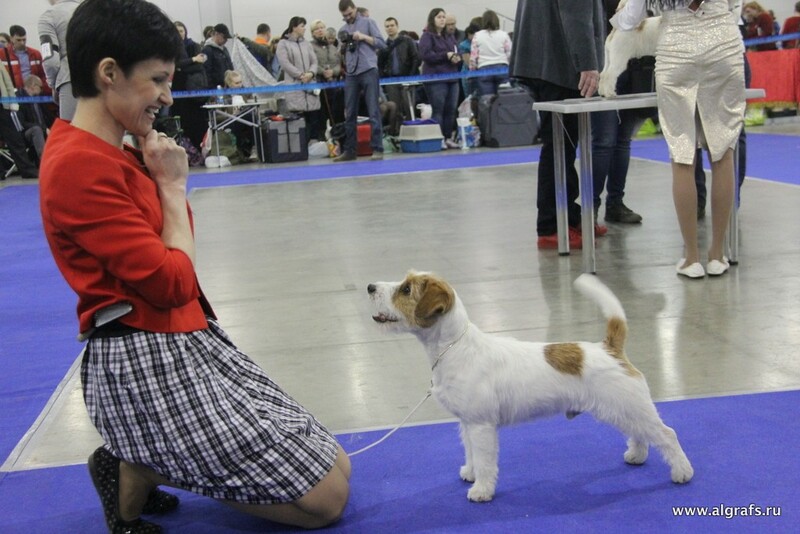 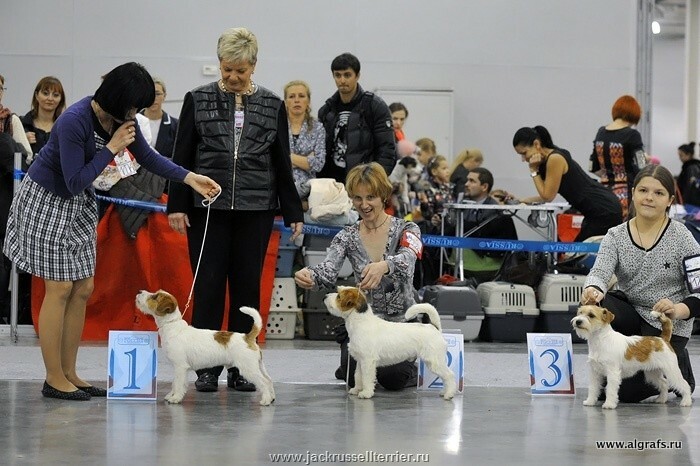 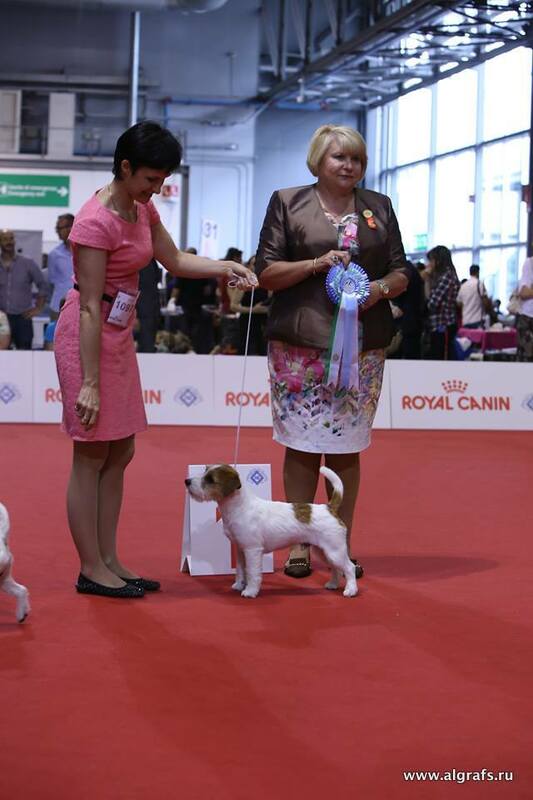 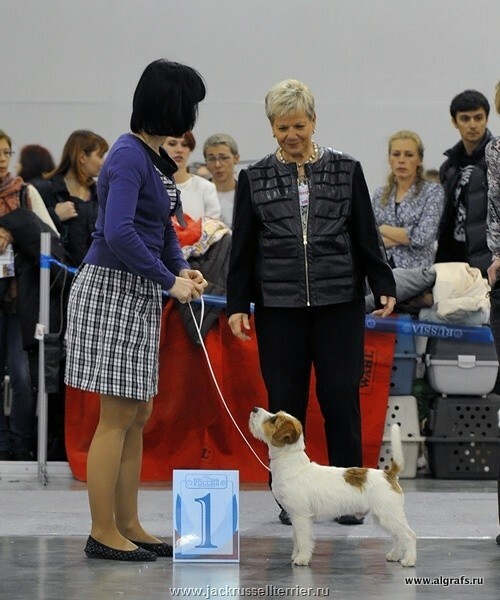 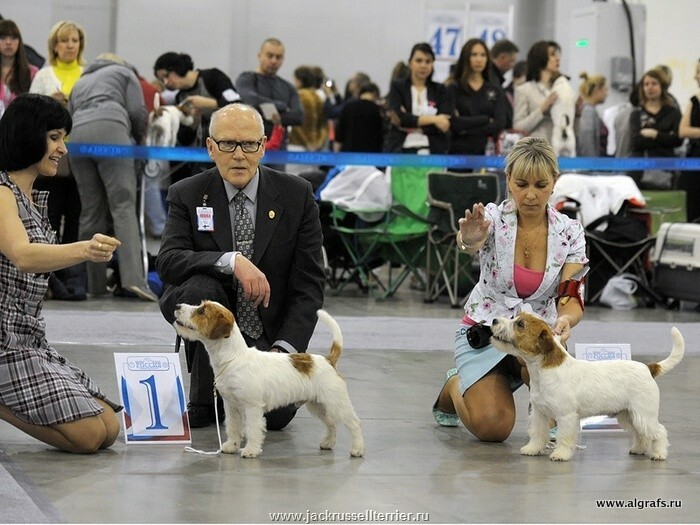 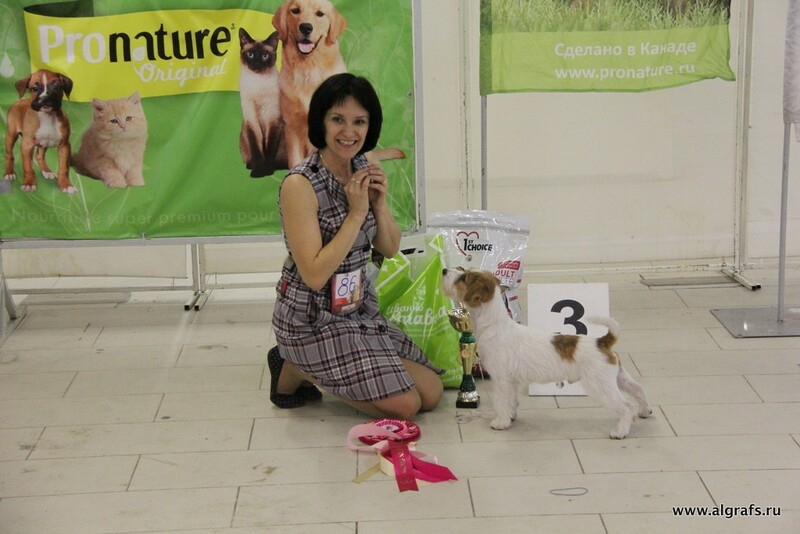 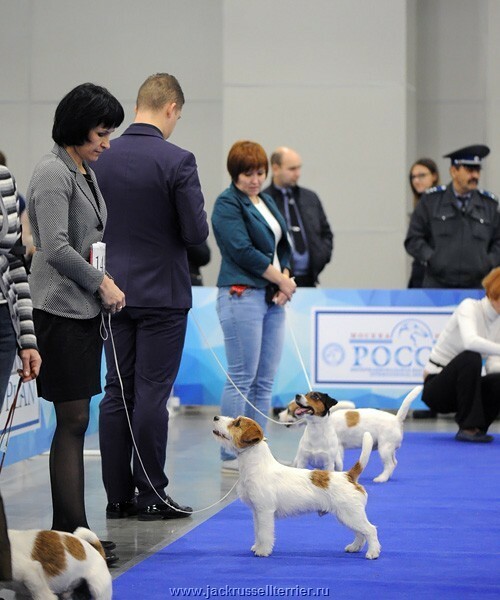 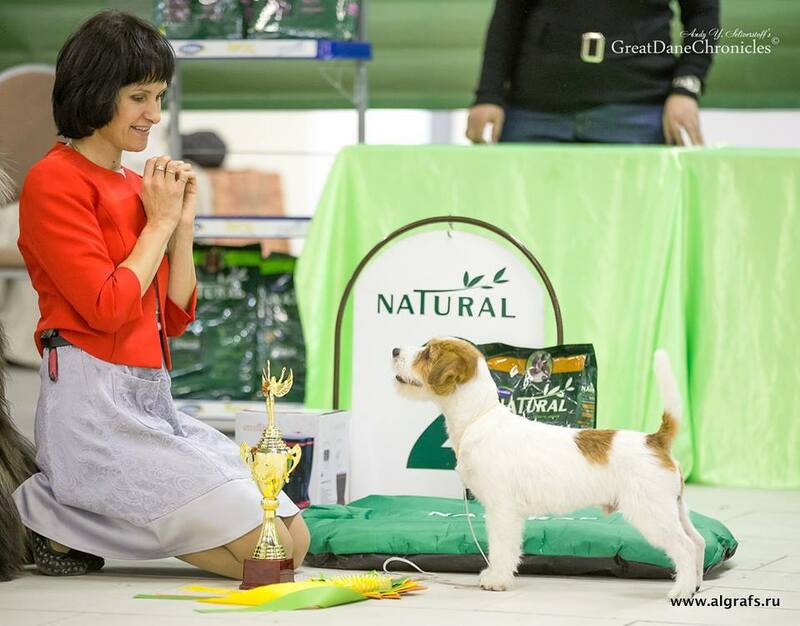 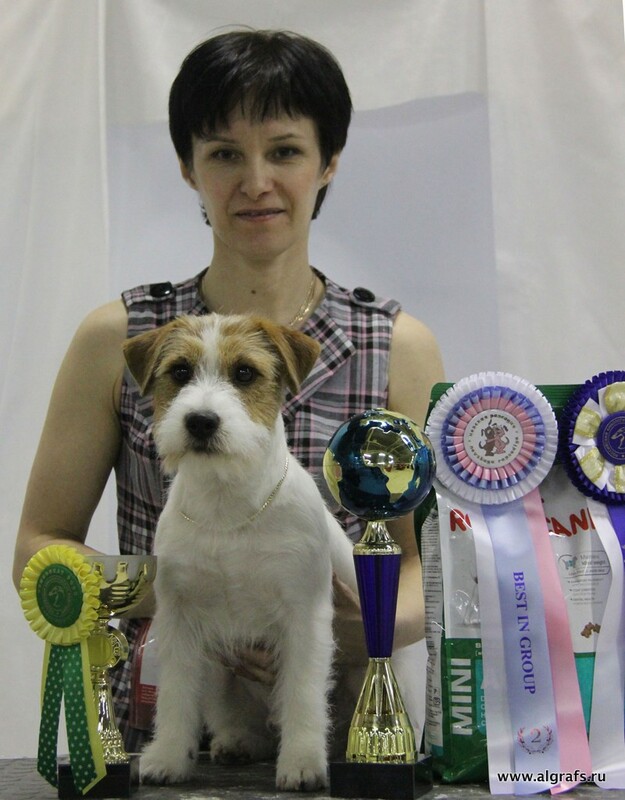 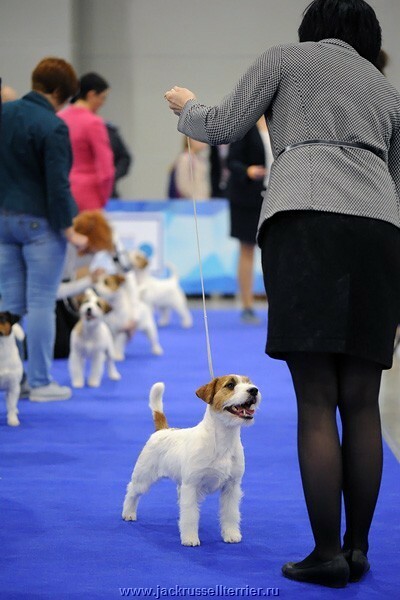 Best Junior of Breed Championship of Russia 2014! 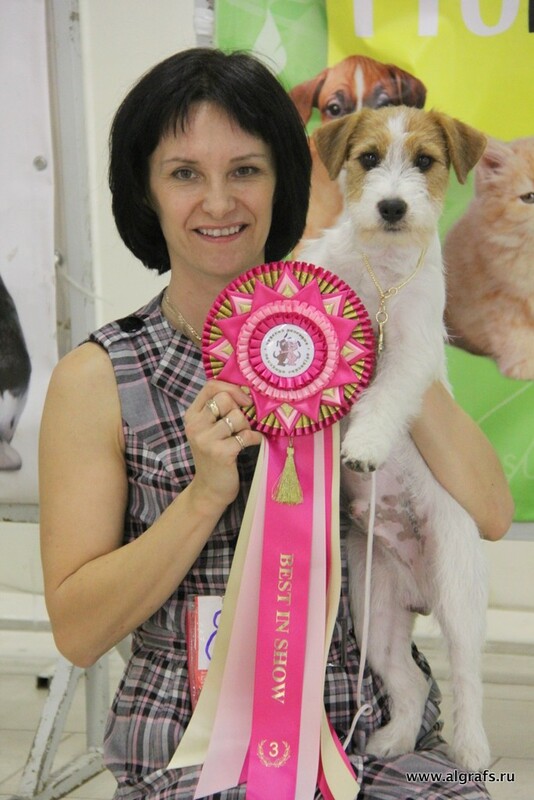 Archi — the pride of our kennel and family pet! 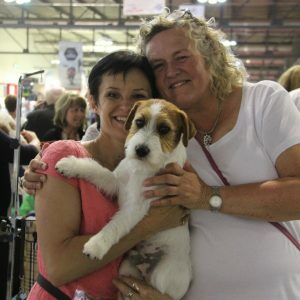 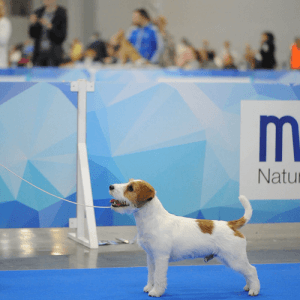 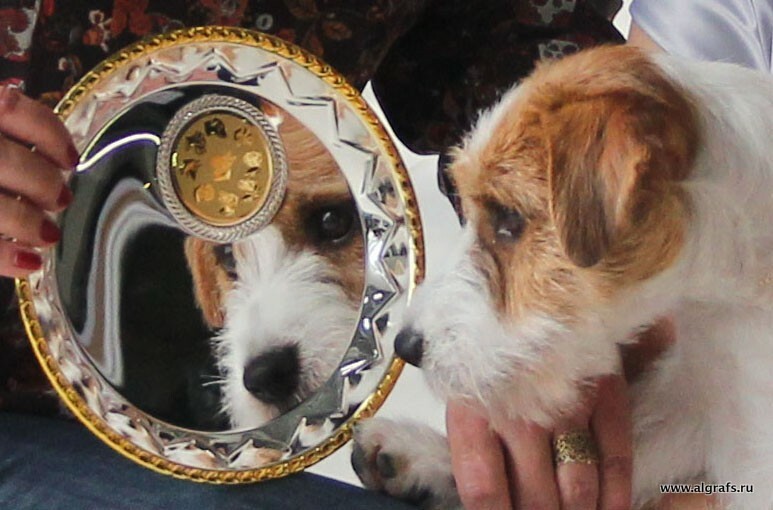 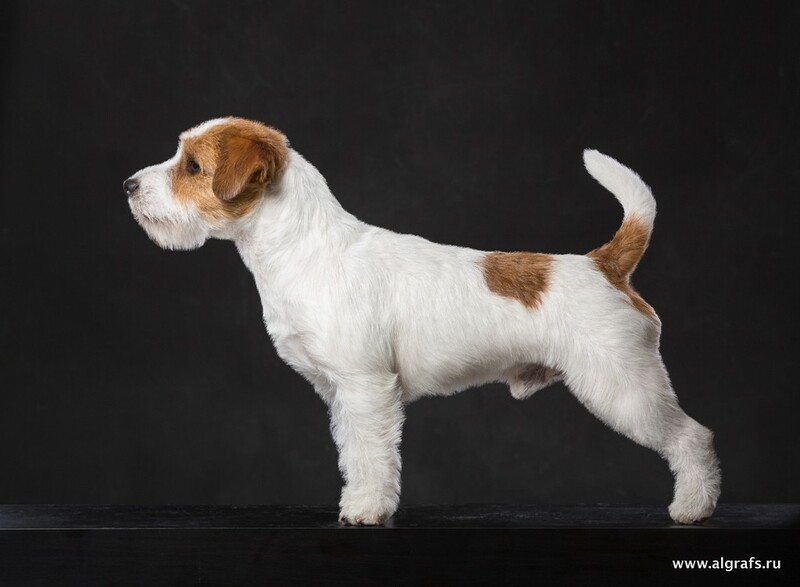 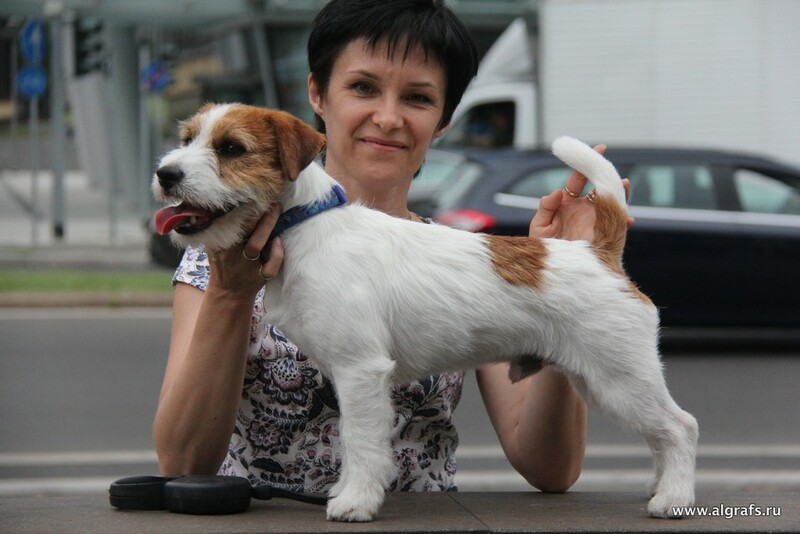 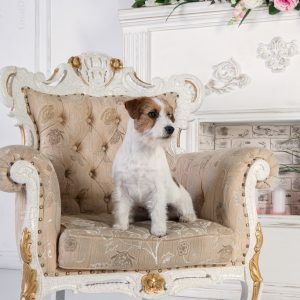 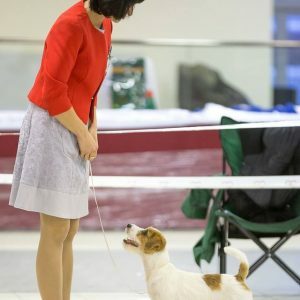 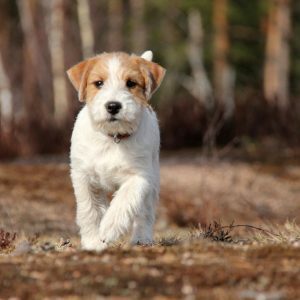 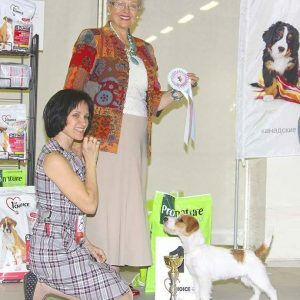 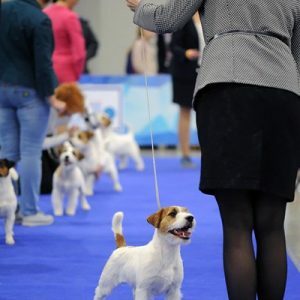 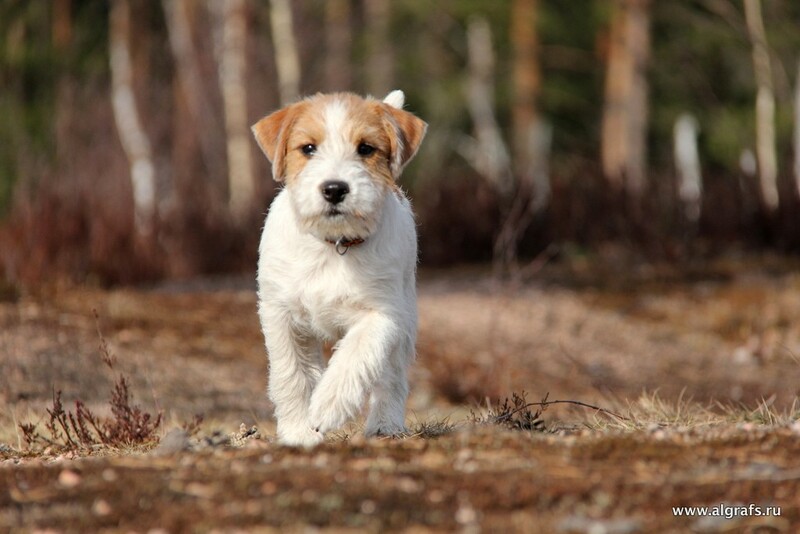 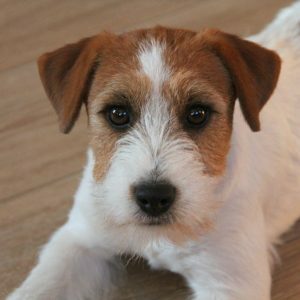 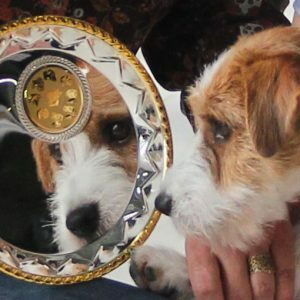 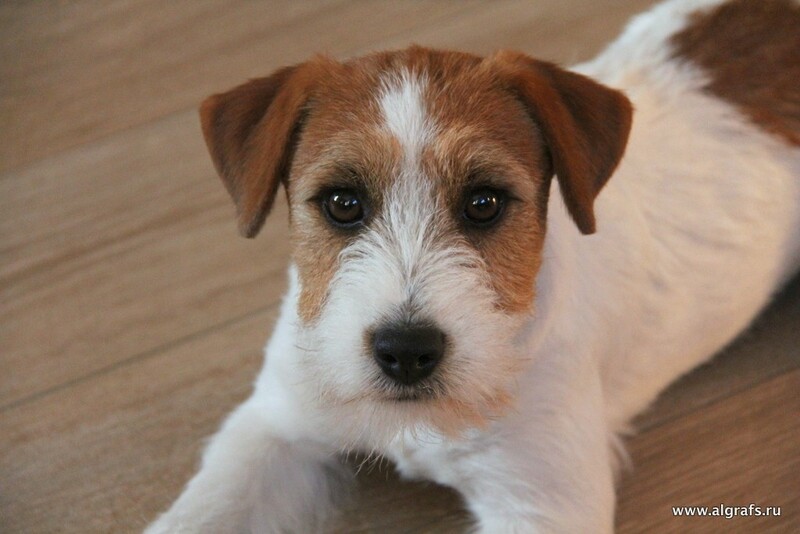 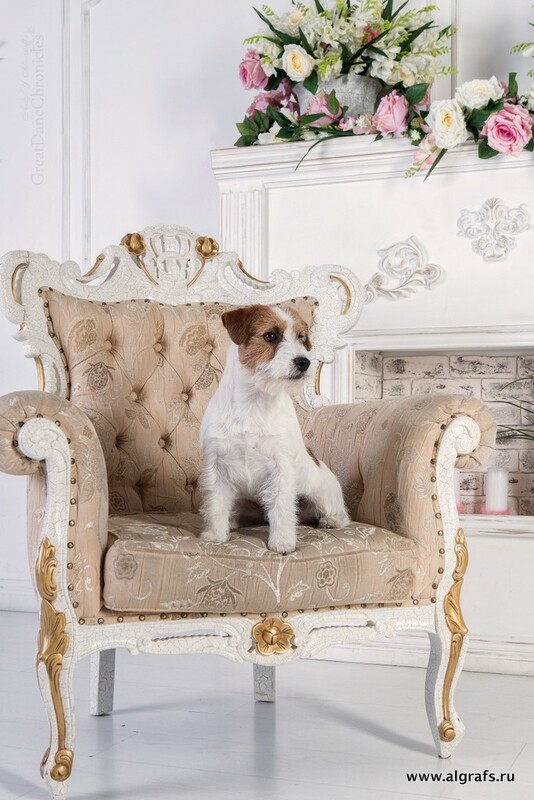 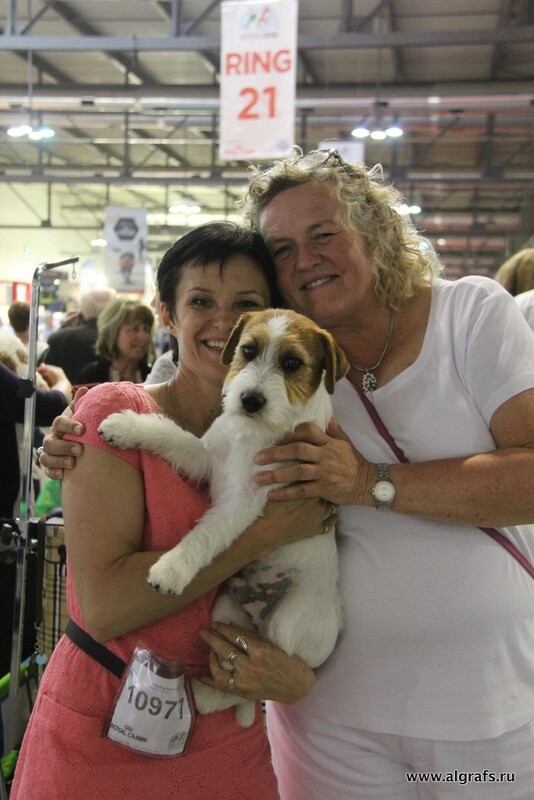 This Jack Russell Terrier was born from a couple of legendary dogs. 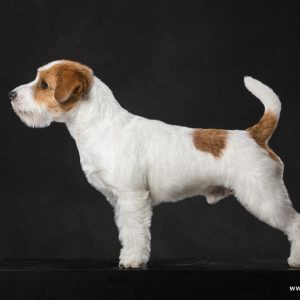 It carries the accumulation of blood great Australian male BEACONWAY SCOTCH N COKE. 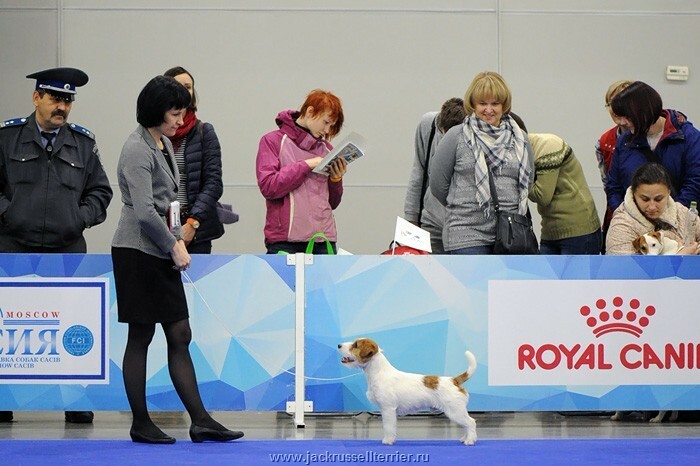 Algrafs Archi Royal perfectly conveys itself in children. 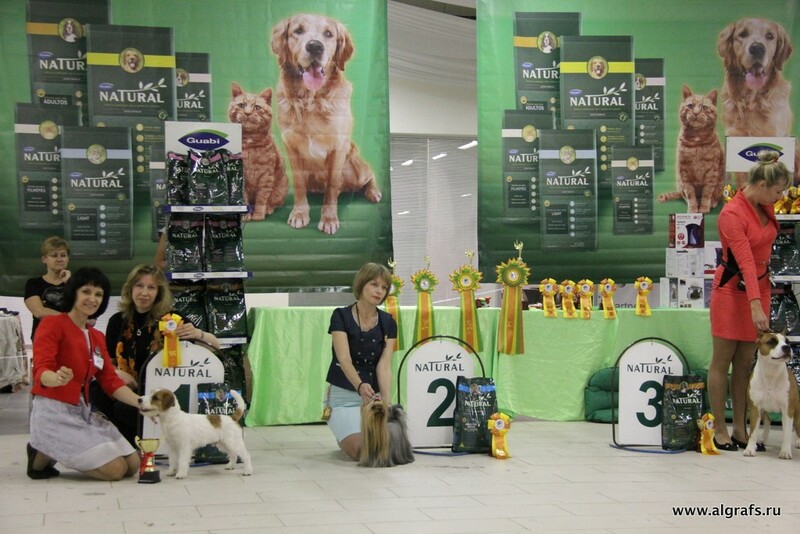 His children have become Champions of the different countries and we are proud that they embrace a part of our work.